Designed by Sir Kenneth Grange for Anglepoise, the new 90 Mini Mini desk lamp has the versatility of the original 1970’s Model 90 in a smaller mini form. The perfect accessory for a desk or bedside table, the Mini Mini is available in three colours and features a low-energy LED module integrated into the shade that will provide focused light for up to 20,000 hours. 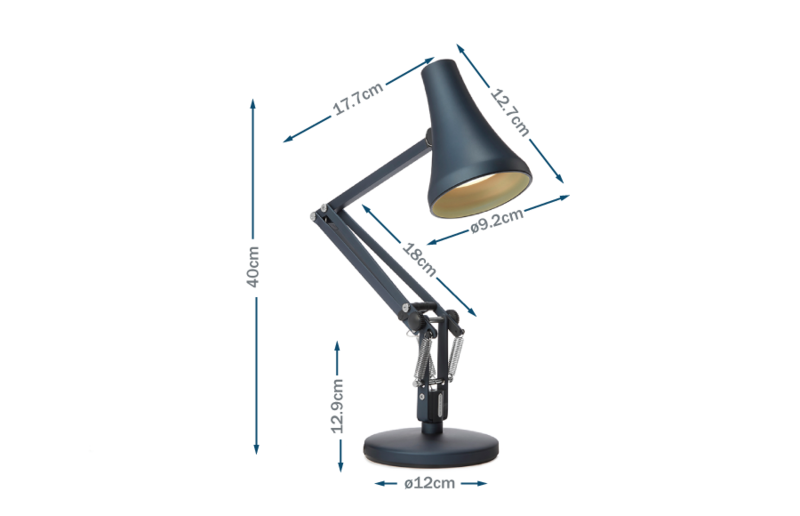 The shade can be tilted to suit your needs and is replaceable extending the life of your lamp. Powered by USB for enhanced portability, the Mini Mini will seamlessly fit into your space. The shade can be tilted to suit your needs and will slot seamlessly into small spaces. Powered by USB for enhanced portability. The easily dimmable integrated LED allows the user to set the most appropriate ambient light for up to 20,000 hours.